If you are placing an order, please do take the time to read our Terms and Conditions which cover the agreement we will have with you, and our returns and cancellation policy. We take great pride in our work and want you to love your quilt or cushion. If you have any concerns about an item you have bought from us please do get in touch and we will do our very best to help put it right. Subscribing to our newsletter or other mailing lists gives us access to your email address. We will store this securely, use it only for relevant communications and absolutely not share it with anyone else. You can un-subscribe at any time by following the links in the emails you receive. 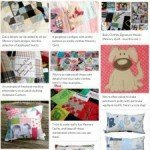 If you are ordering memory patchwork items then please also read the our Frequently Asked Questions page which describes how the quilts and cushions are made, and what items you need to supply. We may use images of your quilt or cushion as part of our advertising either during the making or as completed items. If you do not wish us to do this then please let us know. If your quilt or cushion is a surprise for someone and will be identifiable from the pictures then please let us know the date you will be giving it to them and we will not publish pictures until after that date so we don’t give the game away!